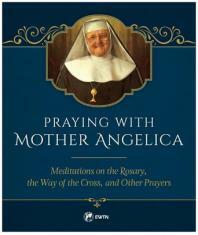 Mother Angelica's meditations combine the insights of a spiritual master with the warmth of a loving mother. The beloved EWTN foundress' powerful reflections will lift your soul to Heaven and lead you into a thoughtful and penetrating reflection on the love of God and the life of Our Lady. This beautifully bound collection of Mother's original writings from the 1970's is a treasure that will help you integrate the spiritual wisdom of Mother Angelica and the traditional prayers & devotions of the Church into your daily life of prayer., Hardcover. 128 pages.